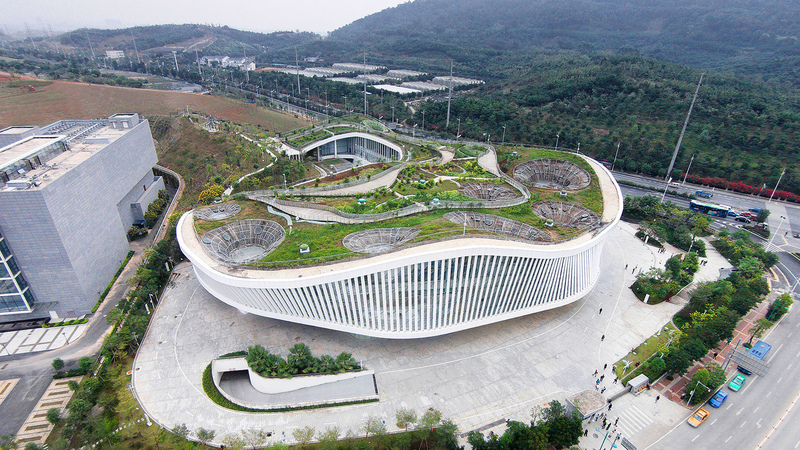 The green roof of the new Nanning Planning Exhibition Hall in China is an elevated urban park that that brings institutional architecture back to the people. Designed by Zhubo Design Zstudio, the building acts as an artificial mountain that expands the existing park and adds a new public space for city dwellers. Instead of acting as a symbol of the Chinese governmental power, like most urban planning halls in the country, the new Nanning Planning Exhibition Hall aims to be a building for citizens. The project preserves the existing park and introduces now public spaces to the site. By merging architecture, landscape and daily life, the building establishes a stronger connection between the government and the citizens and promotes human-oriented values. 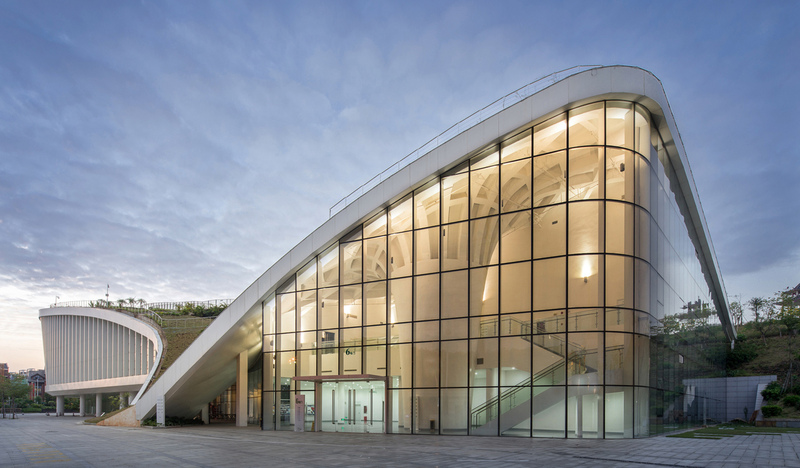 Dozens of trumpet-like steel structures comprise the roof, providing support for the topography and creating a large, column free space inside. These steel elements also facilitate rainwater collection and house all the interior staircases and equipment rooms. 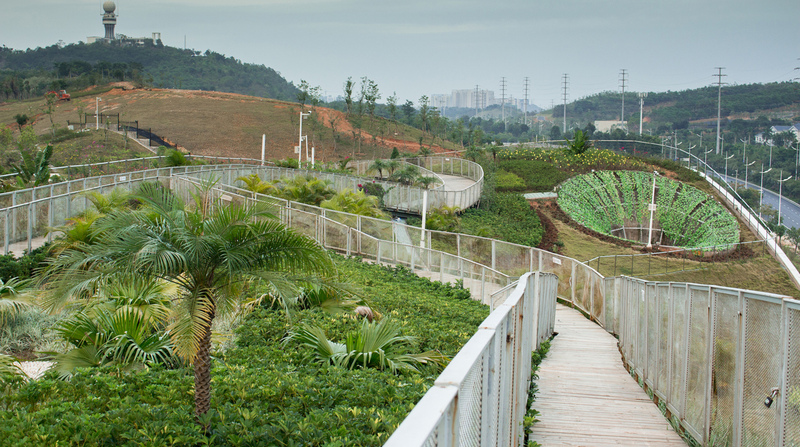 The green roof of the new Nanning Planning Exhibition Hall in China is an elevated urban park that that brings institutional architecture back to the people. Designed by Zhubo Design Zstudio, the building acts as an artificial mountain that expands the existing park and a new public space for city dwellers. Instead of acting as a symbol of the Chinese governmental power, like most urban planning halls in the country, the new Nanning Planning Exhibition Hall aims to become a building for citizens. The project preserves the existing park and introduces now public spaces to the site. By merging architecture, landscape and daily life, the building establishes a stronger connection between the government and the citizens and promotes human-oriented values. Dozens of trumpet-like steel structures comprise the roof, providing support for the topography and creating a large, column free space inside. These steel elements also facilitate rainwater collection and house all the interior staircases and equipment rooms.